I'm so excited to share this fabulous trilogy with you! I love these three ladies who travel and face mysterious challenges together. Happy reading!!! Three best friends from high school have the chance to go to Hawaii for a week. While they find that paradise is not all it's cracked up to be, they also discover that friendship takes many forms and family aren't always a blood relation. Follow Sandi, Mary and Ray as they travel the crazy waters of friendship, travel and revenge. Sandi, Mary and Ray find themselves in the wilds of Wyoming on a wagon train for their trip this year. Sandi decides the owner, Max, is as authentic as they come. Tall, handsome, strong, everything she's always looked for and never found -- but as stubborn as they come -- at first he rubs her totally the wrong way. 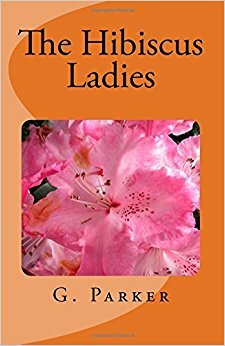 Then attraction becomes mutual and things bloom as she, Mary and Ray work through issues and help solve a mystery that threatens their lives. The Hibiscus Ladies are together again. Ray has invited them all to a winter retreat in a snow filled valley. They find mystery, work at their love lives and discover that you don't have to go far to find you're not alone! 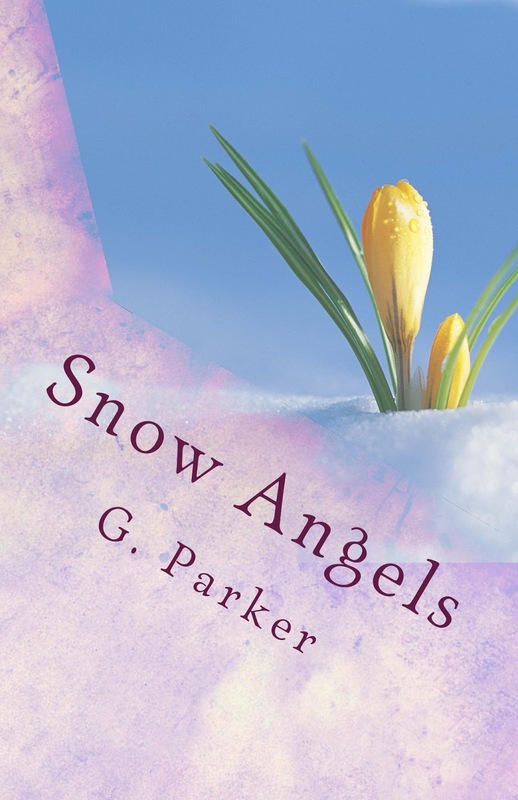 Gaynell Parker has been writing since she was 12 years old and read the Diary of Anne Frank. After a hiatus involving marriage and children, she's continued putting pen to paper. With the advent of the computer she found the keyboard much more to her liking! When she's not writing, she's painting (see her illustrations in Sorry, the Stork Takes No Returns) or playing with grandchildren. She's happily married to her wonderful husband of over 30 years, has seven children, four grandchildren, too many cats and two dogs. Her greatest desire is to spread happiness in her books. 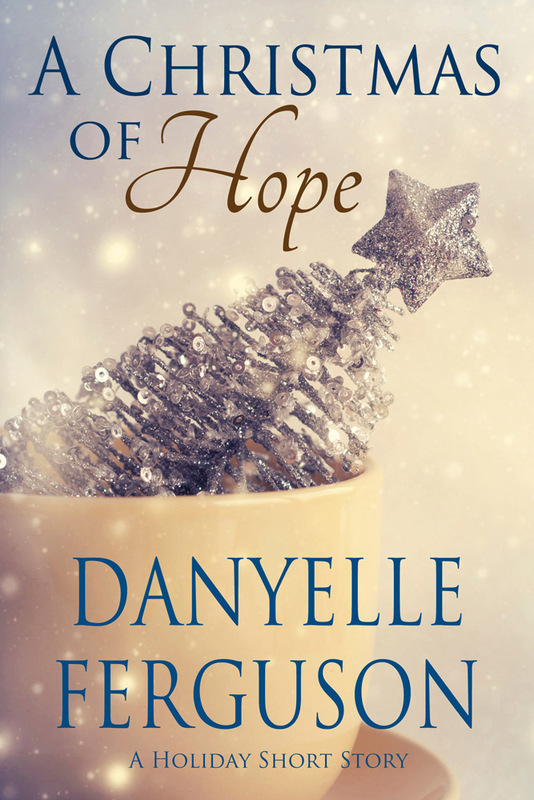 Once Upon a Wish by Danyelle Ferguson - Release Day Happiness! A few years ago (I'm not divulging the exact number), I spent my senior year of high school as an exchange student in France. I lived on the coast, near the port of La Rochelle. The towers at the port marked my very favorite spot. I loved the cobblestone streets, the gorgeous architecture, and most of all, to look across the ocean, knowing that my family in Pennsylvania was just on the other side. As a writer, one of my goals has been to write a book set in La Rochelle, France - and Once Upon a Wish made that dream come true. It's true that "Every dream fulfilled begins with a wish." Delphine Baudry wished to be a best-selling author, but now instead of celebrating and jumping into her next novel, she's frozen with fear. What if she turns out to be a one-hit-wonder? What if all her new fans hate the next book? To top it all off, she can't even discuss the situation with her favorite brainstorming partner, her mother, who is losing her memory to Alzheimer's. Taking a cue from some teens tossing Euros into a fountain, Delphine gives into some whimsy and wishes for her next book plot. Jean-Paul Chassériau wished to start an online marketing company in La Rochelle. Now the real work begins. Feeling pressure to live up to his father's name in traditional marketing, Jean-Paul has a million ideas but no clients. When he finds a funky old Franc lodged between cobblestones near a fountain, there was only one thing to do. Make a wish. When their coins collide, Delphine and Jean-Paul's wishes become intertwined, changing the course of their futures, and teaching them that wishes are sometimes fulfilled in unexpected ways. Ready to jump into Once Upon a Wish? 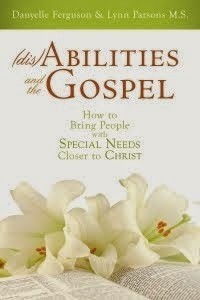 Buy it on Kindle for only $2.99. Cyber Stalk Danyelle via her newsletter, Facebook, Twitter, Goodreads, Amazon, or her website. 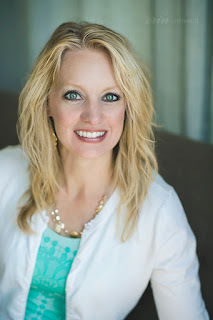 Happy book birthday to Rachelle Christensen! I'm so excited to celebrate the release of her 19th book! 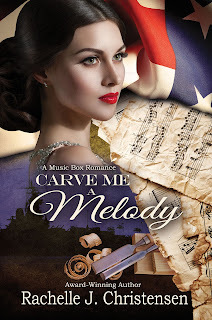 If you are fascinated with the challenges of the WWII time period, then you will love Carve Me a Melody! He hesitated only half a second before lowering his head. There was something there, behind his eyes, in his soul. Something that seemed familiar to Sophie. She didn’t know Leland, but she recognized that haunted look in his eyes. He had lost someone. He had weathered the storm and still manned his ship, sailing forward through life. World War II has ended but the scars of the war have carved deep grooves in Sophie Wright’s heart. Now a widow with two young children, she returns home to Aspen Falls and meets Leland Halverson, a handsome carpenter who appears interested in her, but afraid of a relationship. Leland wishes he was worthy of the beautiful Sophie, and he adores her two children, but his past still haunts him. Sophie knows that Leland fell apart after his little girl died and his wife left him, but she doesn’t know the real reason why. Meanwhile, David Alexander, a decorated bomber pilot has returned to Aspen Falls, and Sophie catches his eye. Confused by the two vastly different choices of men, Sophie searches for answers from a heart that has betrayed her before. When Sophie discovers a message inside a music box that Leland once owned, the pieces start to fit together. The enchanting melody urges her to share the secrets of her heart so that she can understand his. Leland knows the tune from the music box well and if he can find the courage, he’ll carve a melody for Sophie from the solid wood surrounding his heart. Enter to win one of three copies of the ebook, The Soldier's Bride, book #1 in the Music Box Romance series, Kindle Scout Winner & Whitney Award Finalist. 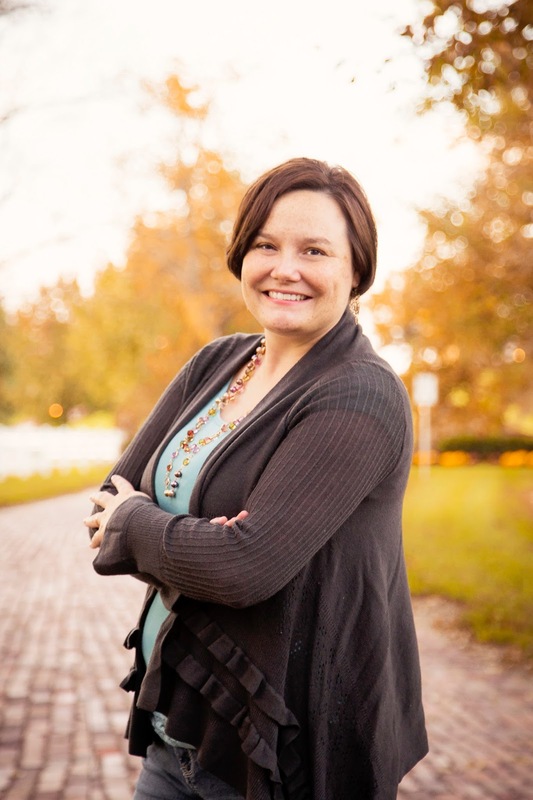 Rachelle is the award-winning author of over a dozen books, including The Soldier’s Bride (a Kindle Scout Selection & Whitney Award Finalist), Diamond Rings Are Deadly Things, Veils and Vengeance, Proposals and Poison, Hawaiian Masquerade, What Every 6th Grader Needs to Know, and Christmas Kisses: An Echo Ridge Anthology. Her novella, “Silver Cascade Secrets,” was included in the Rone Award–winning Timeless Romance Anthology, Fall Collection. Link Up with Rachelle Online! When a mysterious explosion kills her sister, Salem becomes convinced the death was no accident--it was a conspiracy. But no one else at her high school believes her, and all she has so far are theories and clues. With Carrie's killers still out there, Salem's not sure who she can trust. If she can't she prove she’s right before it’s too late, the conspiracy might take another life—hers. Doesn't Shatter sound awesome? I'm here with author Nikki Trionfo, talking about her newly released YA murder mystery. Q: Thank you for coming onto my blog today. 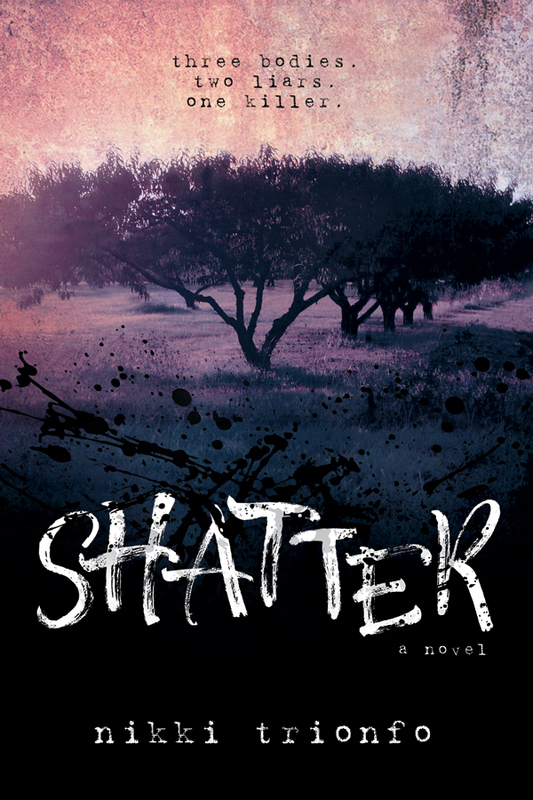 What was your favorite part of writing Shatter? A: To be honest, learning about my own prejudices was my favorite part. I won’t give away too much to avoid spoilers, but I will say one of the characters was originally supposed to be a villain. About a quarter of the way into the book, I ached for him the way I had ached for my trouble students as a teacher. I felt like I understood why he made so many bad choices. I realized that as author I had written a plot that didn’t allow him to ever make positive changes in his life. I believe in positive change. So I tweaked the premise of the book and rewrote a lot. A lot. But it was worth it. I hope real teens know they have a chance to change if they fight for it. Q: Okay, be honest. Every author wants their book to be a movie. What actress who you pick to play Salem? A: It's so true! If I could go back in time, I'd pick a young Kristen Bell! She played Veronica in Veronica Mars, which inspired Shatter. These days, maybe Sabrina Carpenter. My 10-year-old loves her. Q: Before you go, can you give us an excerpt of Shatter? A: But of course! And thanks for having me! The class is dead silent. Mr. White’s lips tighten. He swallows. There’s something dangerous about the new guy. The teacher leans over Addy Day’s desk and spins her packet so he can read the list of partnerships. At the sound of my name, I turn to look at my new partner. The guy near the door is tall. He has the kind of incredible good looks that invite stares, but that’s not the only reason he’s getting them now. The cursive lettering of a tattoo rises from the opening of the guy’s worn flannel shirt. Two gold chains hang from his brown neck. A guy accessorized in gang paraphernalia, not caked with it. His only completely visible marking is an upside down V inked onto his right cheekbone, black and distinct. The tattoo calls my attention for some reason, even though I’m sure I’ve never seen a symbol like that before. An upside down V . . . it seems so familiar. His expressionless, dark eyes dart to meet my gaze from under a stiff, backward-facing ball cap. My classmates watch him stare at me. “Salem Jefferson,” he says slowly, putting a slight emphasis on my last name. He waits for my response. I realize he knows exactly who Salem Jefferson is. Exactly who I am. I’m Carrie’s sister. Terrified, I whirl back around to face forward. Gang members targeted Carrie, made her frightened. Was he one of them? The skin between my shoulder blades tightens. Why were gang guys after Carrie? To enter, comment below with your answer to "What most makes you want to read the book Shatter or participate in the Inspired by Shatter contest?" 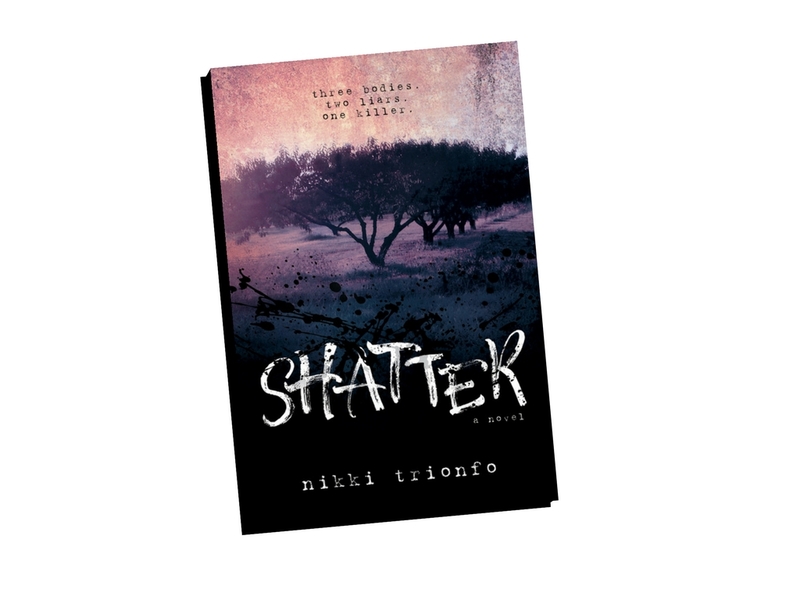 Nikki has got tons of cool links for Shatter lovers. Check them out! 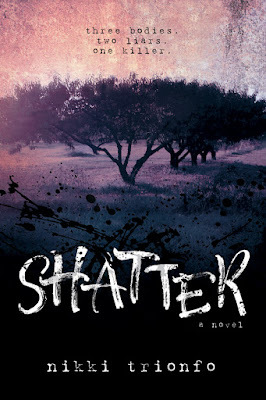 Cedar Fort Webpage highlighting the Shatter blog tour. Shatter Playlist, with songs that inspired her writing. One song per chapter. Inspired by Shatter contest for $50 and 5 books donated to your local school. Shatter World. Books about unions and reformed gang members. Blog posts about Nikki's experiences writing with diversity. Some of the posts are League of Utah Writers award-winning essays. You guys, I'm so excited about Elodia Strain's new novel! I absolutely loved her previous books & this one promises to be just as fun to dive into. And seriously, look at that gorgeous cover!!! It just makes me want to click for more right now! 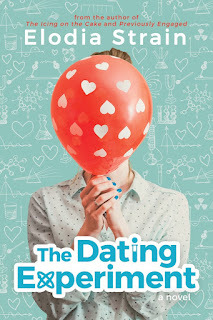 After losing her job, her house, and her long-term boyfriend, Gabby’s roommate signs her up to be in a dating experiment. Little does she know, however, that her ex is in the experiment too! In an attempt to escape the chaos of her life, Gabby visits home and accidentally reunites with her childhood friend (and secret crush), Ian O’Connell. 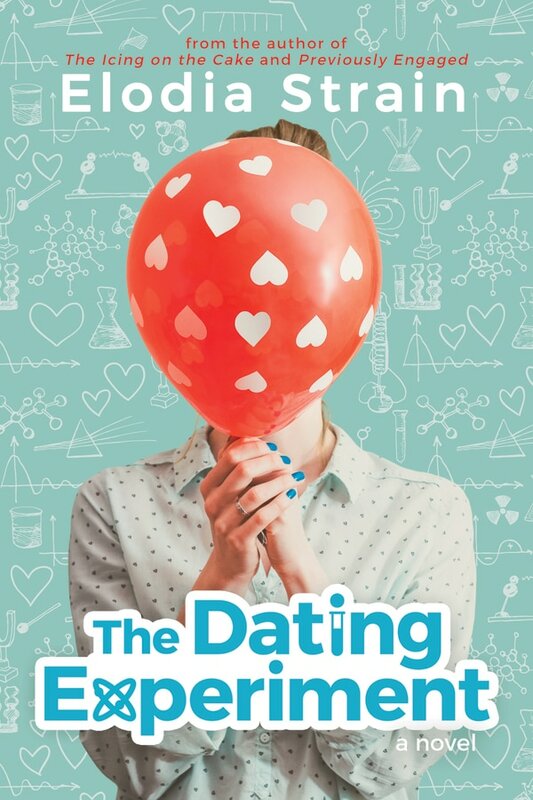 As she participates in the study and its hilariously awkward dates, Gabby finds her heart torn between the man she’s comfortable with and the man who’s had her heart from the beginning. 1. My first day of Kindergarten, the teachers told us they were going to check if we were right handed or left handed or both, which they said was called being ambidextrous. They gave us mini chalkboards and asked us to write a letter on the chalkboard with each of our hands. I remember trying SO HARD to write perfectly with both hands, so I could be ambidextrous. But I wasn't so lucky--I was clearly right handed no matter how hard I tried. 2. I was in Girl Scouts from age 5-12 and remember going horseback riding for the first time ever with my troop when I was about ten. I have loved riding ever since! I do it as much as I can with my niece (who is a total natural) when I'm at my in-laws house in Texas. Lucky for me, they have two of the most beautiful horses I've ever seen. 3. I played the flute in high school and wanted to join the marching band. But I was so stressed out by the idea of ruining my high school's reputation by my inevitable trip/tumble/wrong turn on the field that I used my experience playing piano to join the percussion pit. I ended up learning how to play the marimba, xylophone, bells, etc. Definitely a lucky decision! The Lie: I'm a terrible horseback rider and have been since I was a kid. Horses can clearly sense I'm terrified of falling off. But my niece IS a total natural. Must be that Irish luck from my father-in-law! If you've been following my Facebook page, then you'll know my family has been cycling through the flu and bronchitis since Christmas. Seriously, there was no break. Each week, another member of the family as down for the count. It was a very stressful time for Mama (especially when it was her turn to be sick!). At the Ferguson home, if you're sick, you stay in your room. No interactions with the other natives in hopes that the illness will end. We load the kids up with Netflix and Kindle books. 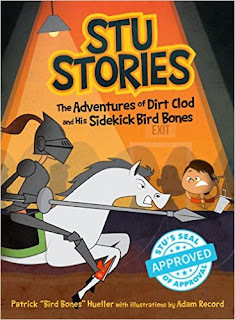 My lucky duck kids had the opportunity to read Stu Stories: The Adventures of Dirt Clod and His Sidekick, Bird Bones by Patrick Hueller. There were gobs of laughing/hacking coughs coming from my 12 year old son's room - a few times, I listened outside his door to make sure he was going to survive the latest laughing/coughing fit. Now, my 10 year old daughter is on a huge Diary of a Wimpy Kid kick right now. She keeps requesting the books at the school library and as soon as she has one in her hands, she disappears for days until it's thoroughly devoured. Well, she did the same thing with Stu Stories. She loved the adventure and super funny situations the characters got into. So, if you're looking for a great read for your munchkins, check out Stu's Stories. Your kids will thank you! =) Check it out on Amazon or Barnes & Noble. For more about the author, visit his website.